If you didn't read the excerpts yet, visit here. 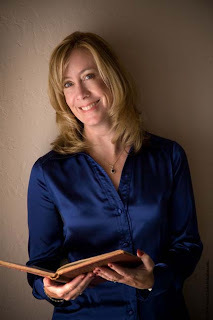 Sarah Sundin is the author of the Wings of Glory series—A Distant Melody, A Memory Between Us, and Blue Skies Tomorrow. The book from which Monday's excerpt is taken is A Memory Between Us. 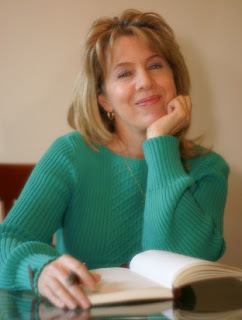 Sarah Says: I live in northern California with my husband and three children, a skittish cat named Janie, and a yellow lab named Daisy who is determined to destroy my writing career by distracting me and eating my manuscripts. However, Daisy is a fantastic source of humorous Twitter and Facebook posts, so I’ll keep her. When I’m not ferrying kids to soccer and tennis, I work on-call as a hospital pharmacist and teach Sunday school and women’s Bible studies. I run on caffeine. MaryLu Tyndall, a Christy Award Finalist and best-selling author, is known for her adventurous historical romances filled with deep spiritual themes. Surrender the Heart from her Surrender to Destiny series set during the War of 1812, is the book from which Monday's excerpt is taken. MaryLu Says: I should have been a mermaid. At least I have no other explanation for my love of the sea and the tropics! Raised on the beach in South Florida, I still feel more at home in surf and sand than on solid ground. To make matters worse, I love shrimp, crab, and lobster and all manner of sea food. Along with popcorn and chocolate, of course. My favorite movies are Titanic, Master and Commander, and the Pirate series. So, you see my dilemma? Somewhere in my teens, I determined to accept my landlocked existence and become an astronaut, but that dream soon faded. Instead, I gave up outer space for the ocean I love and moved to the coast of California where I began to write historical romances (each book with some portion set upon the adventurous sea) But what do you expect from a mermaid? Lovely to meet you both! Thanks for stopping in. Drop back in next week Monday and Wednesday to learn about the books that were featured in Monday's Clash. The poll may be closed...and my, was it a close vote! But the Drawing for a free book is still OPEN! Please leave your comments with an e-mail contact to be entered. It's great to see you both here. It sounds as though you have a fun time with the animals. At least your dog is eating your manuscripts and not the children's homework. I'm a sea lover too. It's great that you moved near the ocean. What an inspirational place to write. Thanks to both of you for your wonderful books. I thoroughly enjoyed Surrender and was tickled that Katie, our Talent Scout, chose it for this Clash. Sarah!! Welcome! You know how much I love your books, so I won't blabber on about them again. Just know that I'm terribly excited to have you here. Katie has great taste!! Gail - she's eaten the kids' homework too. Plus my son's retainer, 2 pairs reading glasses, 2 pairs presciption eyeglasses, and assorted wooden spoons. That's a random sampling. April - thanks :) I was tickled to be chosen. Marylu - how fun to share this with you! Loved your excerpt! !